Exercise, avoid caffeine, avoid sugary carbs, rest 8 hours a day, eat a good breakfast. Anything to help ease your suffering is worth it. It may seem like everyone is a beephead, but you can't control other people, you can only control your own mind. Socialize with others with similar interests and ideals. Keep those who love you close. Try to not be as judgmental towards others and instead focus on the positive things others are doing. On the subject of political discourse, remember that not everyone wants to hear it. Getting mad at things you can't control isn't fun for some people. While I argue that we shouldn't get complacent if we feel violated and endangered, talking about politics can make people feel just that. This all may sound ironic, but point is to make others feel like they are empowered and in control. After we make sure to take care of that, then we can go from there assuming the individual wants to participate. ^^I recommend doing that, btw, it helps revitalize our minds and it's something we all can do. I'll be updating this thread periodically for those who are interested. Takethis dot org has many great stories in regards to mental health and gaming. It's a non profit dedicated to helping those who may need it in the gaming community. They provide AFK rooms at gaming conventions too. 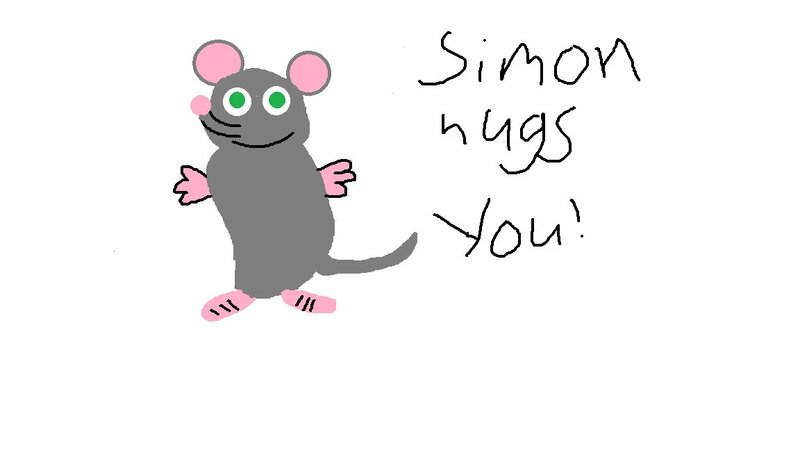 Also......Simon wants to hug you all too! He's a very nice mouse. Give him a hug back if you want. On the subject of political discourse, remember that not everyone wants to hear it. The problem with talking about politics in this day and age is you can't with out the conversation devolving into moral judgments. @Azathoth43 said: The problem with talking about politics in this day and age is you can't with out the conversation devolving into moral judgments. Right. This thread is meant for easing one's suffering in the face of panic that this climate has produced. This thread assumes that one wants to stop judging themselves and other people at least temporarily and look at things from a more positive light. Meaning that even in the face Armageddon, there's still hope to be found. Basically "I hate this!" and "I hate that!" can instead be turned into "I hate hate!" which will will help rejuvenate one's mind by transferring one's energy from anger into something usable and good. Basically political discourse is all about judgements and how the world should work. Instead we should focus on how the mind should work and how we can better use our energy. Yeah it is important to be healthy mentally and physically. I liked reading this post. I was stressed out and had started taking opiate which was making me mentally weak. So I just joined the virginia opiate addiction treatment center and seeing quite improvement.